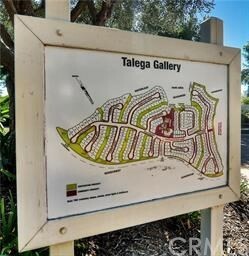 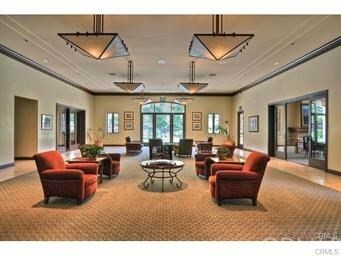 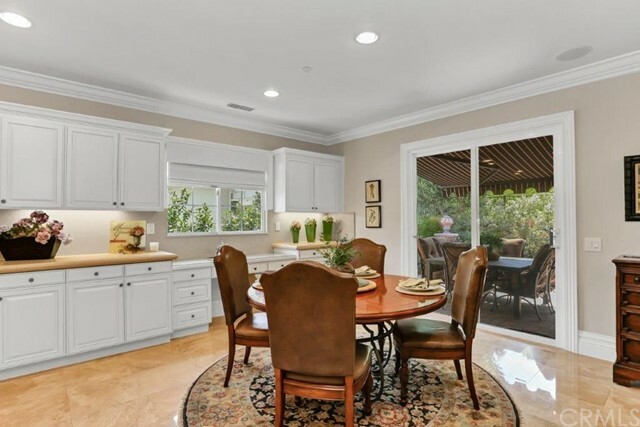 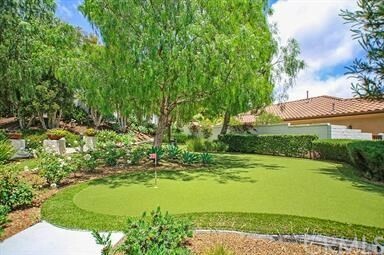 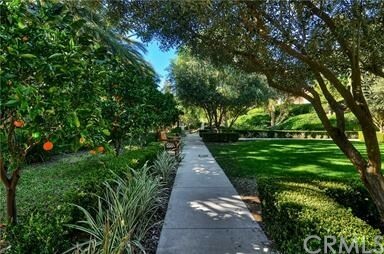 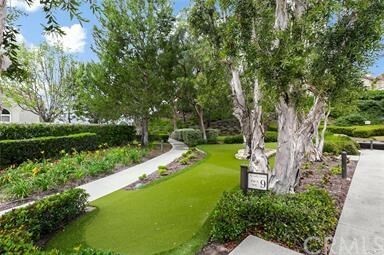 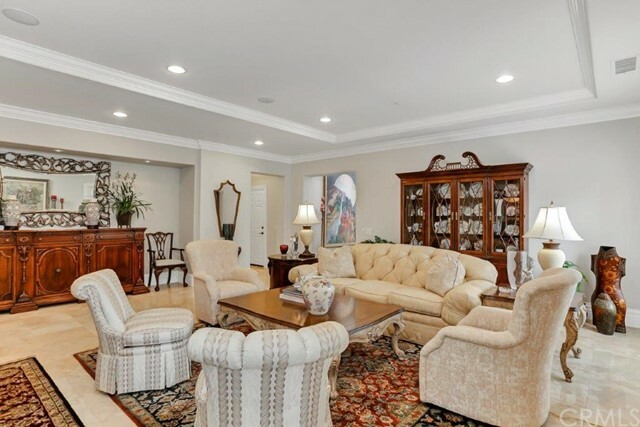 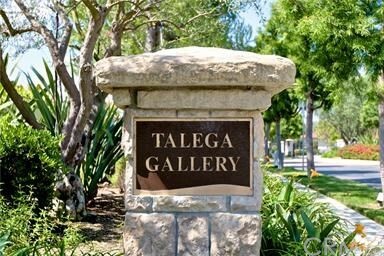 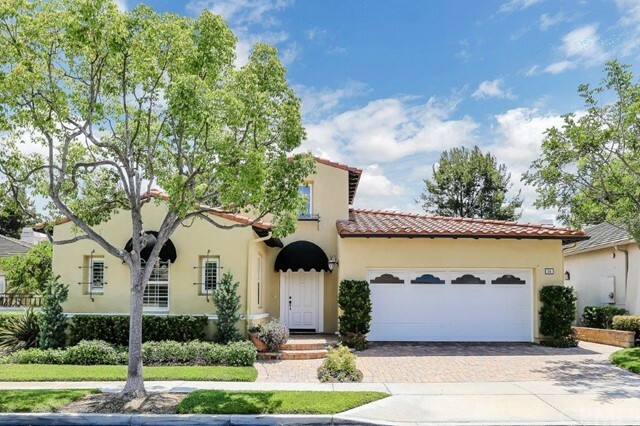 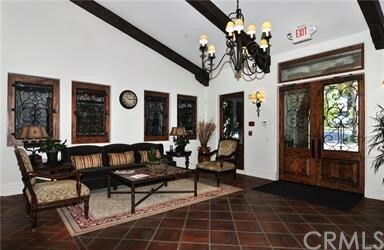 ELEGANT TALEGA GALLERY SINGLE LEVEL HOME IN PRIVATE GATED 55+ COMMUNITY. 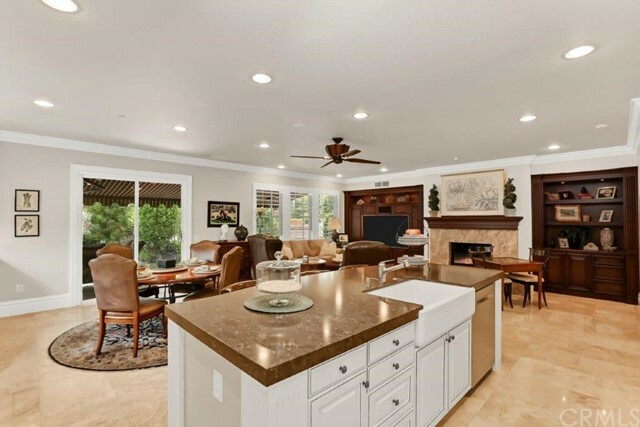 This unique home has been customized and upgraded to the nth degree using only quality materials and workmanship. 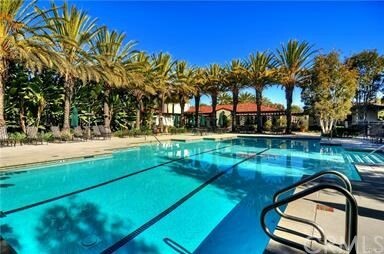 True California resort style living. 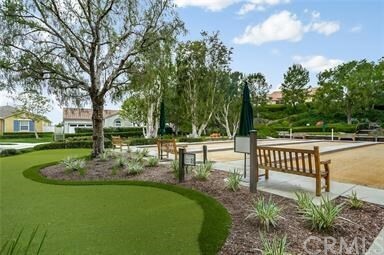 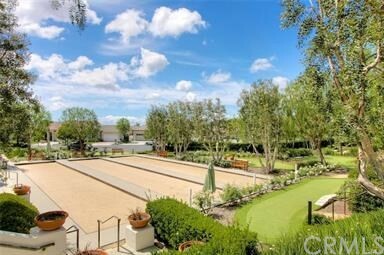 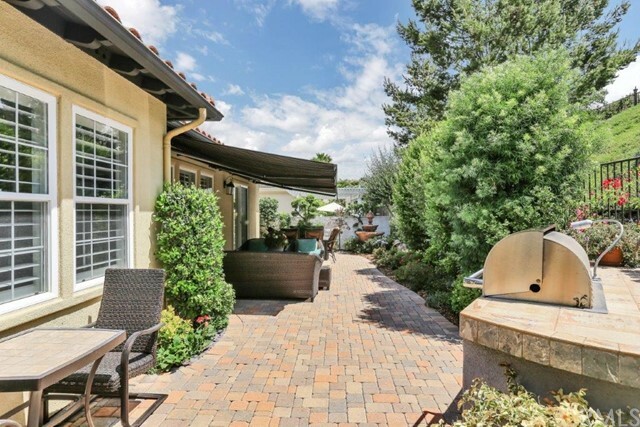 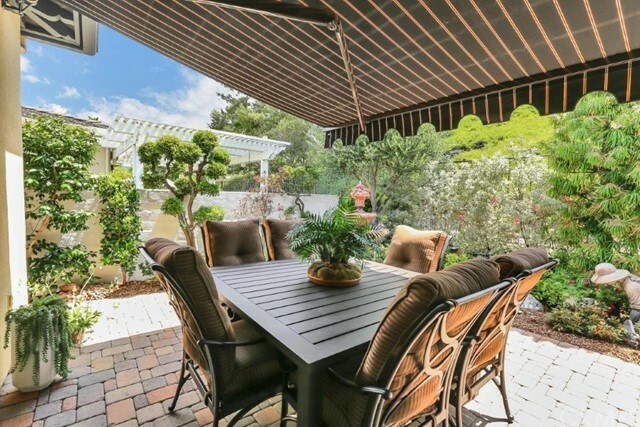 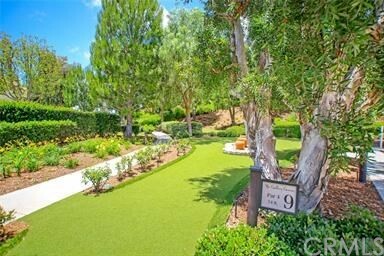 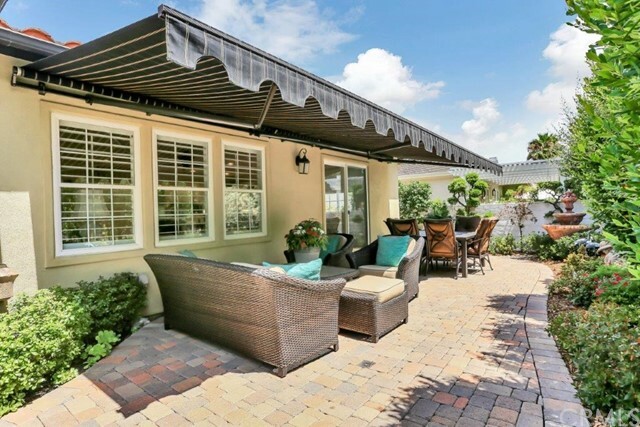 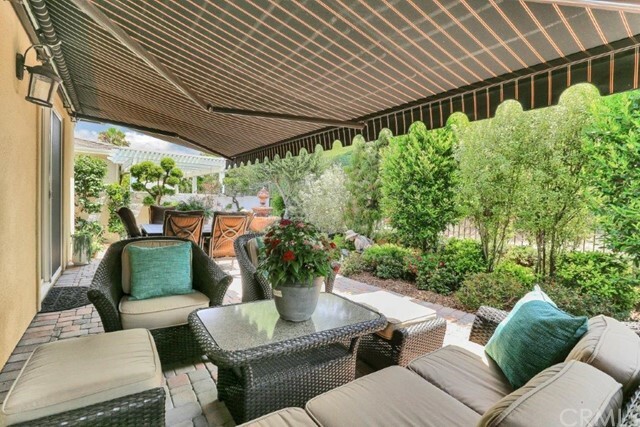 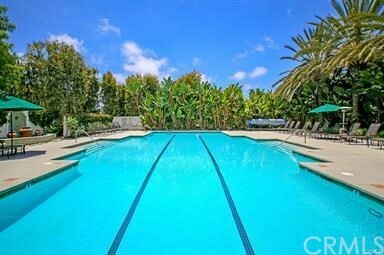 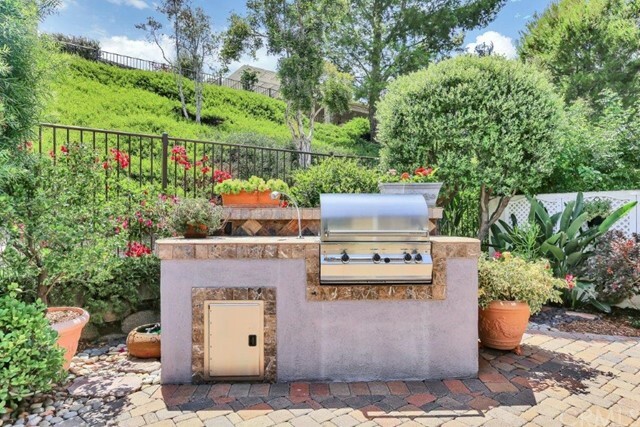 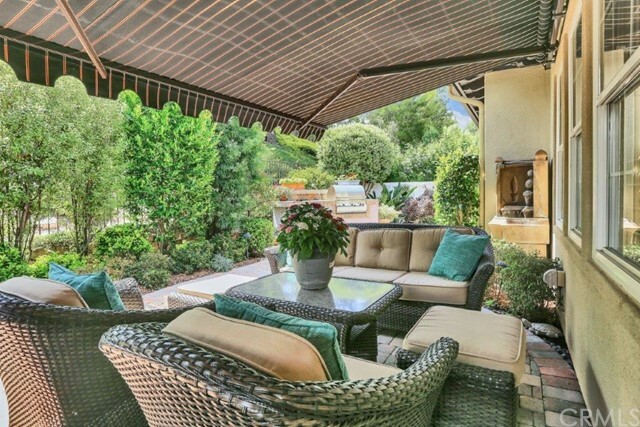 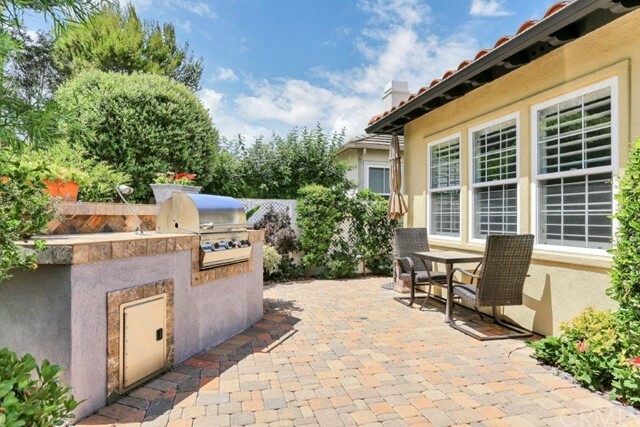 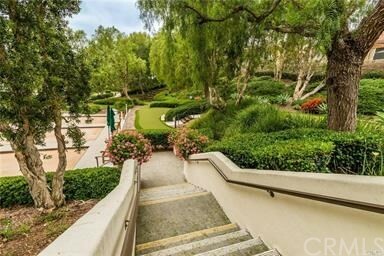 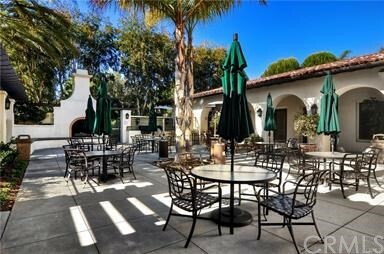 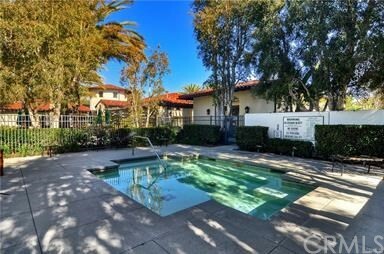 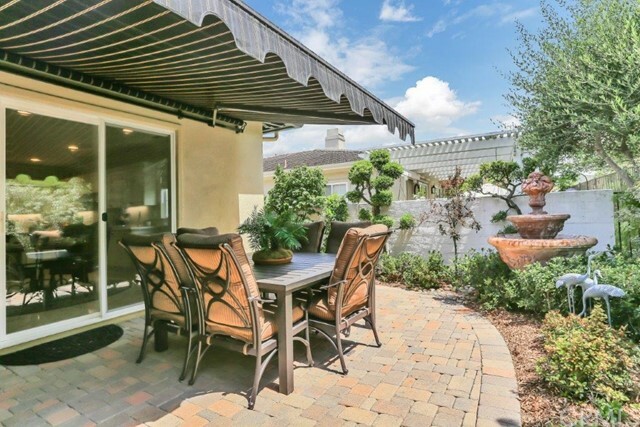 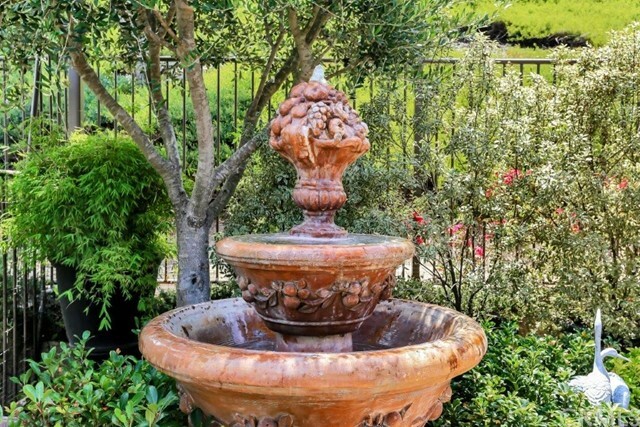 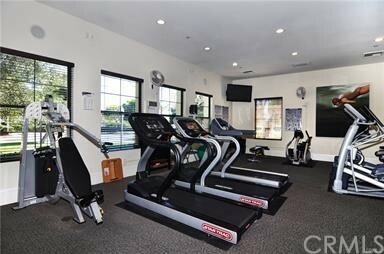 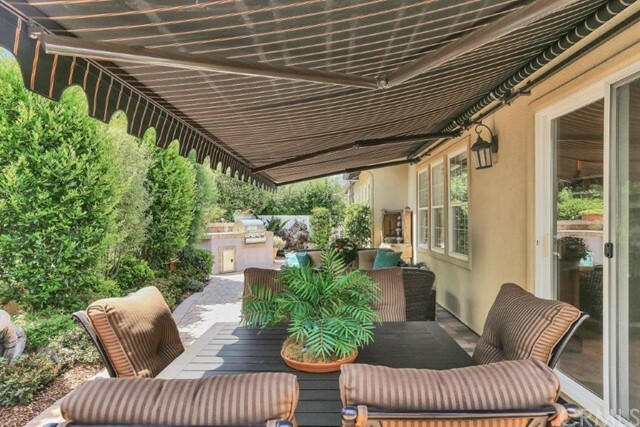 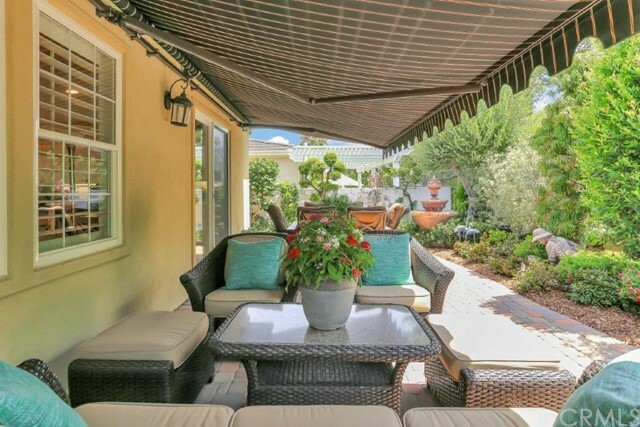 Features & Amenities Include: EXTERIOR: Pavers, awnings, Fire Magic BBQ, drip irrigation. 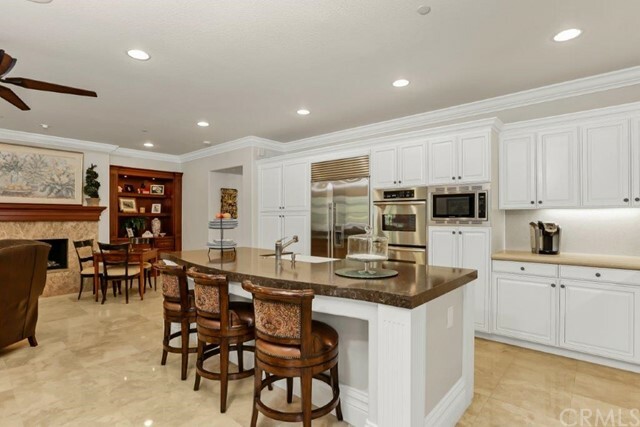 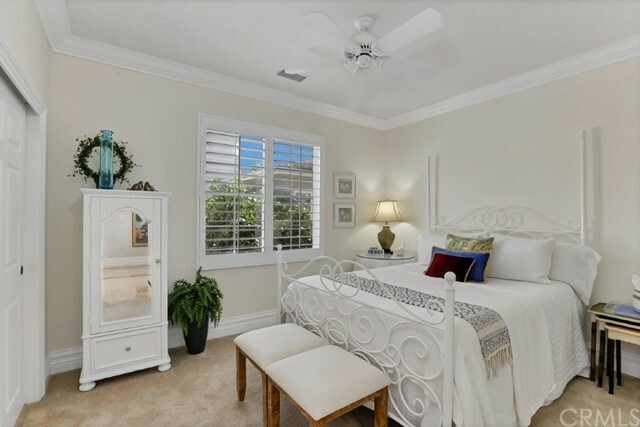 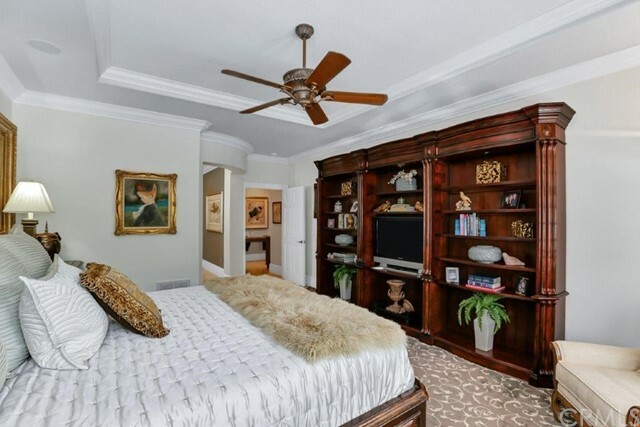 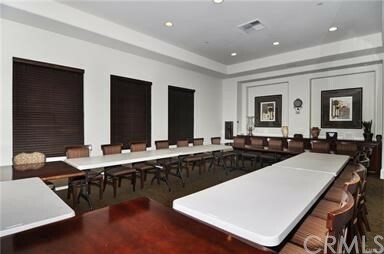 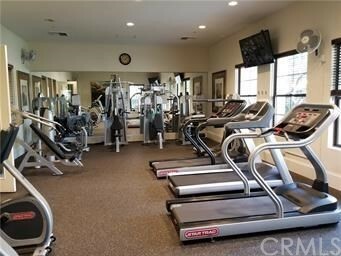 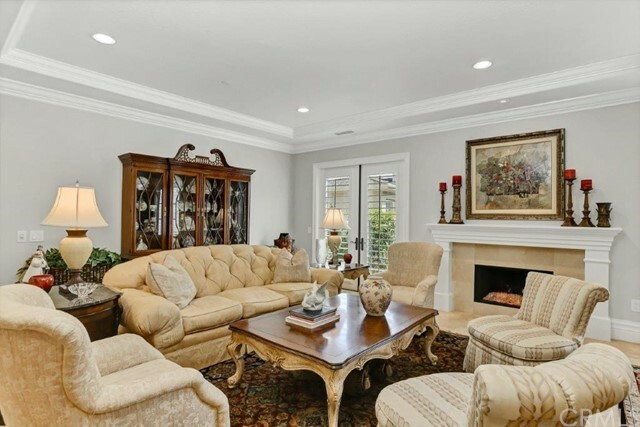 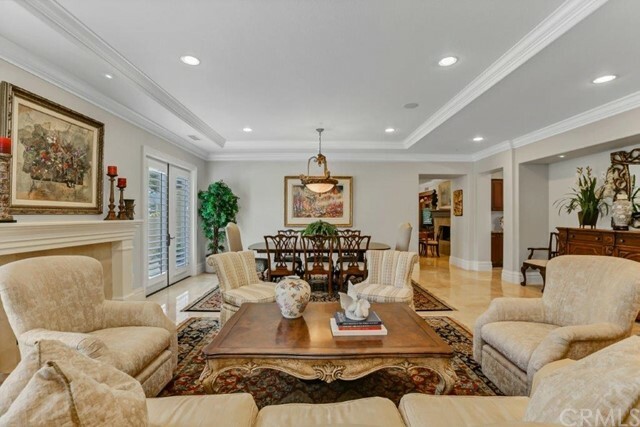 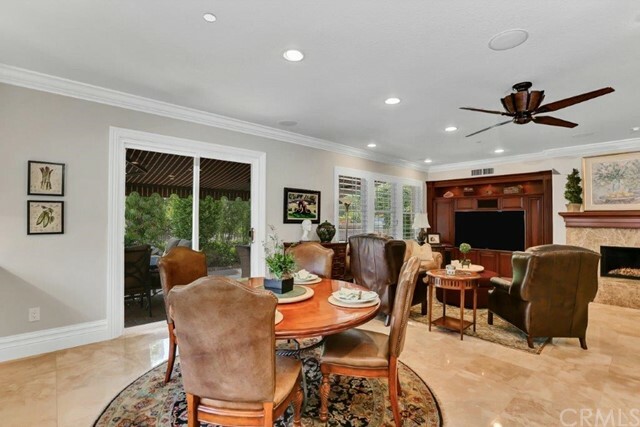 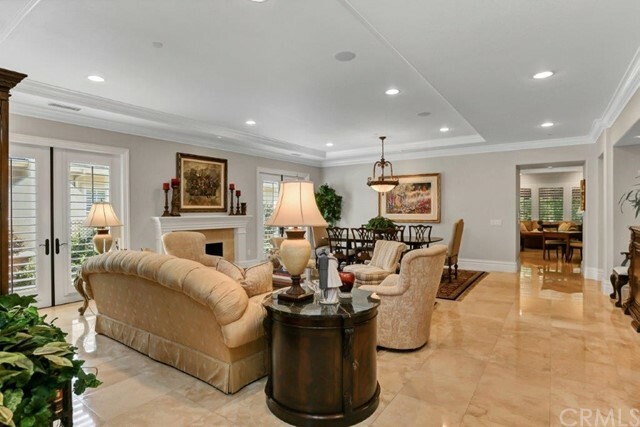 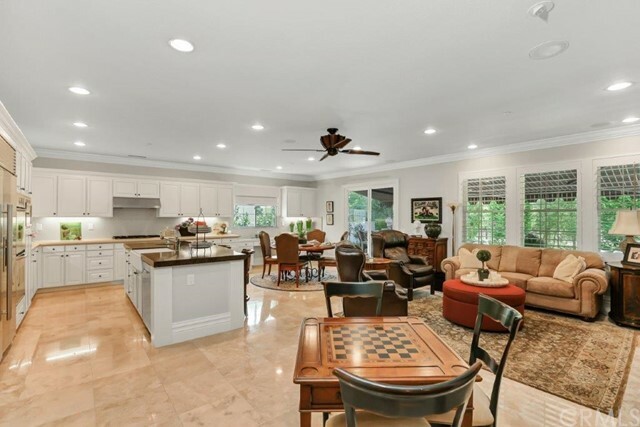 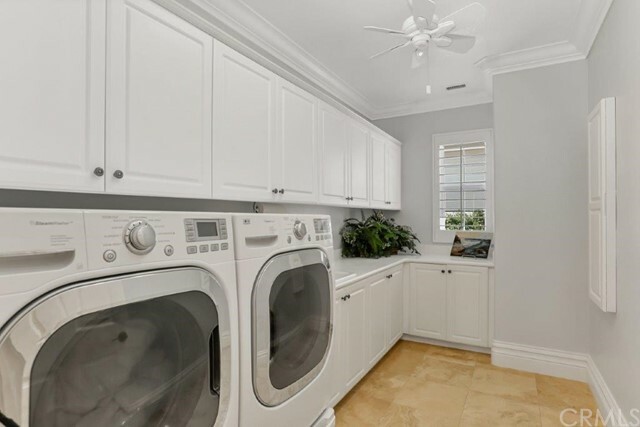 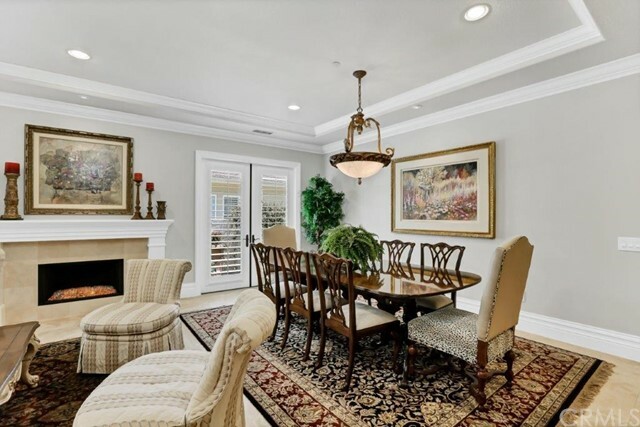 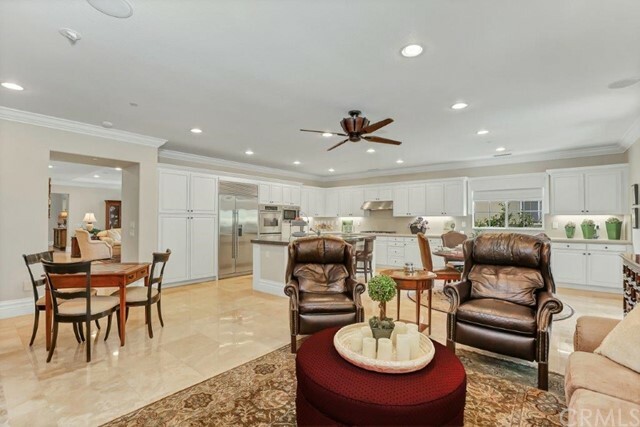 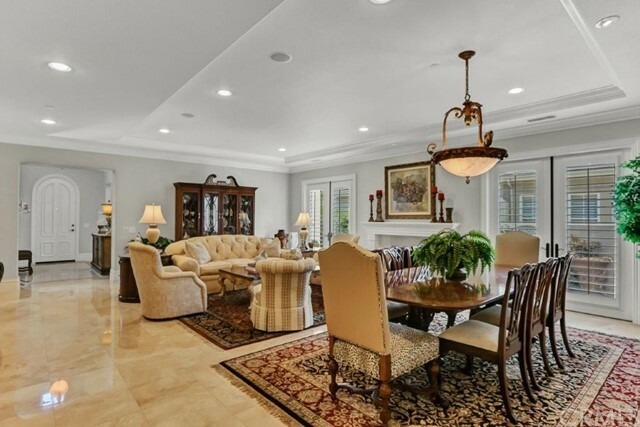 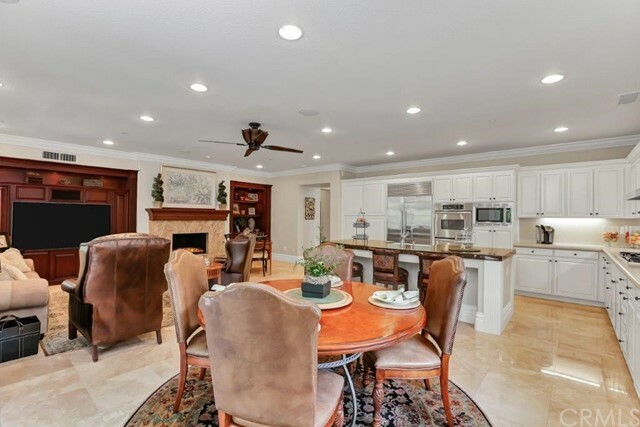 GENERAL: Polished travertine, premium carpeting & Pergo flooring, wood plantation shutters, crown moulding, 9” baseboards, French doors, LED lighting, ceiling fans, fireplaces w/fire glass, filtered, soft water, central vac. 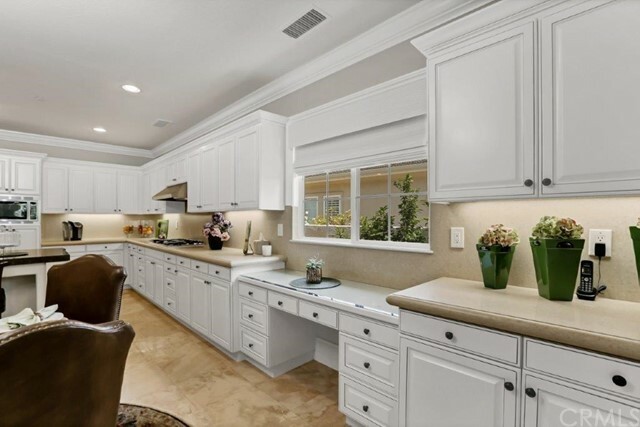 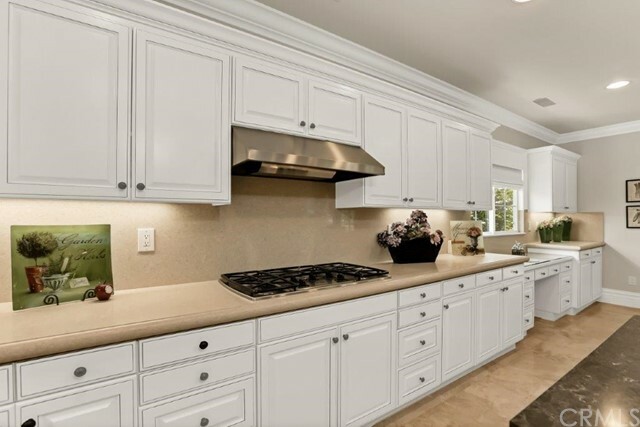 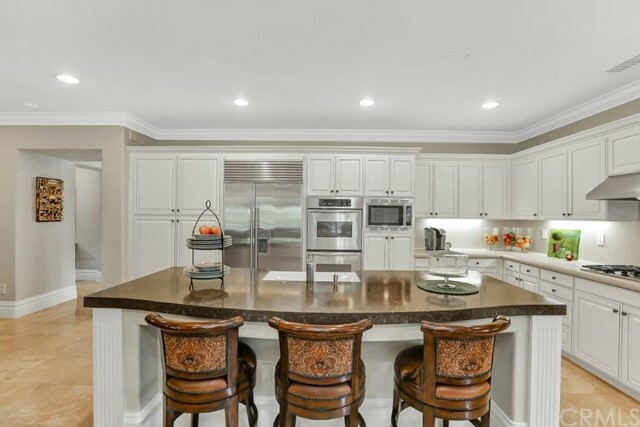 KITCHEN: Glazed cabinets w/self-closing doors & pullout drawers, quartz counter tops, VentAHood fan, farm sink, KitchenAid cooking appliances, built-in Sub Zero, Bosch dishwasher. 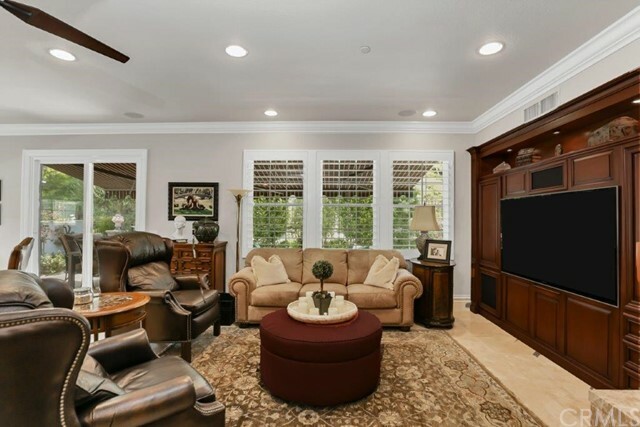 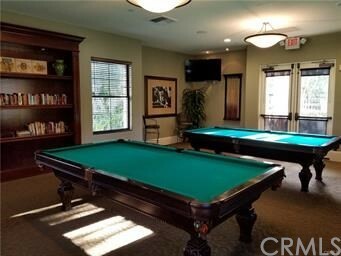 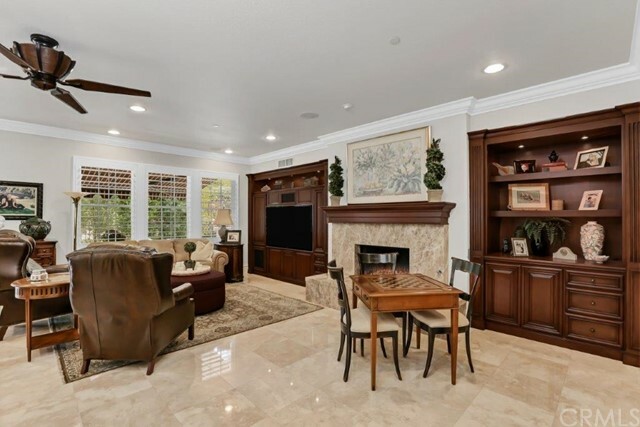 FAMILY RM: Custom entertainment center, cabinetry & fireplace mantle, ent center accommodates 65” flat screen TV, surround sound speakers, limestone fireplace & hearth, Casablanca fan. 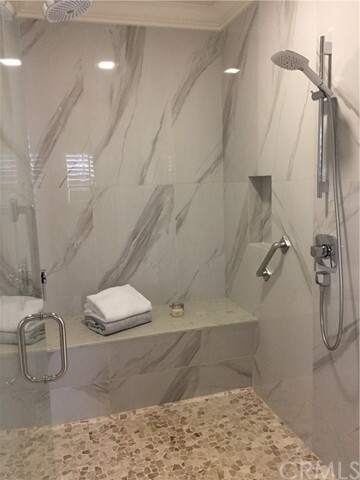 MASTER BATH: Cabinets w/quartz tops, sinks w/single lever faucets, pullout cabinets, beveled glass mirrors, free standing tub on quartz pedestal w/free standing fill & spray fixtures, custom shower w/Hans Grohe shower head & hand shower, frameless glass, quartz covered bench/threshold. 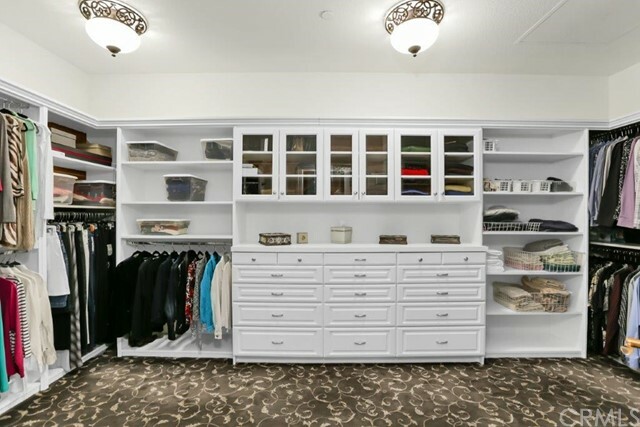 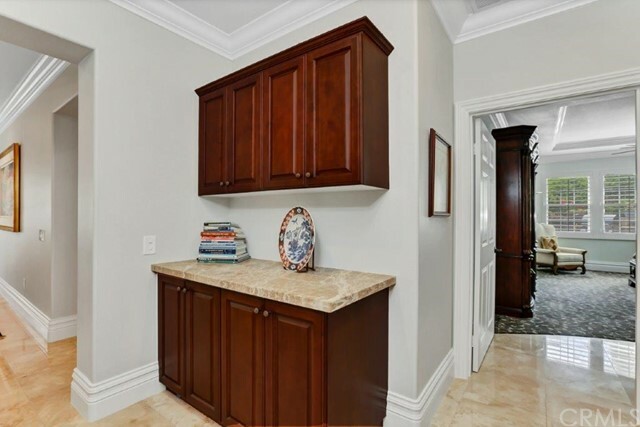 MASTER CLOSET: Built-in cabinetry w/cedar lining & glass doors, custom light fixtures. 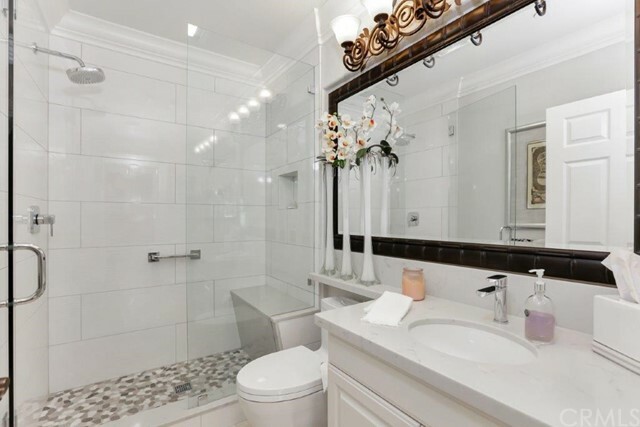 SECONDARY BATH: Refinished cabinets w/self-closing doors, quartz top, sink w/single lever faucet, beveled glass mirror, custom shower w/quartz covered bench/threshold, Hans Grohe shower head & frameless glass.